Q: Who owns the Port? 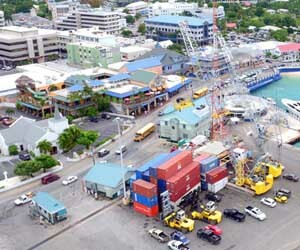 The Port is a statutory authority owned by the government of the Cayman Islands and run by an appointed Board of Directors. Q: What size ships can the Port Accommodate? The Port can accommodate vessels up to 120m or 400 ft in length with a water draft of no more than 5m or 16.5 ft.
Q: What is the maximum lifting capacity of the Port cranes? The maximum lifting capacity of the cranes is 40 tons. Q: What type of cargo can be handled? Containers, RoRo, Break-bulk and Bulk. Q: What is the time of the cargo ship operations? 1800hrs to 0600 hrs (6pm to 6am). Q: What time can cargo be collected? Cargo can be collected from the Cargo Distribution Centre on Portland Road Monday through Friday from 8 am to 4:30 pm and Saturdays 8am to 12 noon. 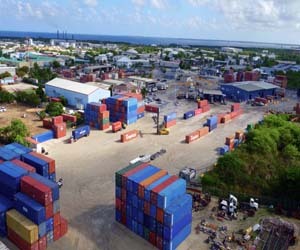 Q: What cargo lines service the Cayman Islands? Q: From which cities or countries do the majority of our cargo come from? Q: What do I need to do in order to collect the cargo I have imported? Q: What cruise lines call at the Cayman Islands? All major cruise lines call at the Cayman Islands. Q: What is the time of cruise ship operations? Cruise operations occur seven (7) days per week from 0600 hrs to 1800 hrs (6am to 6pm), except Good Friday and Christmas Day. The Port is closed for these two days each year. Q: Why do I need an username/password? You will need an username/password only if you are bringing in cargo or releasing cargo online from our website.